On June 22nd the Friends of Wyneken sponsored a bus tour for the Palatines to America, a genealogical society that studies Germanic immigration to North America. The organization was in Fort Wayne for a national conference. Since this area is rich in German heritage, FOW offered a look at our unique history, with the concentration on Friedrich Wyneken and his profound influence on Lutheranism in Adams and Allen counties. 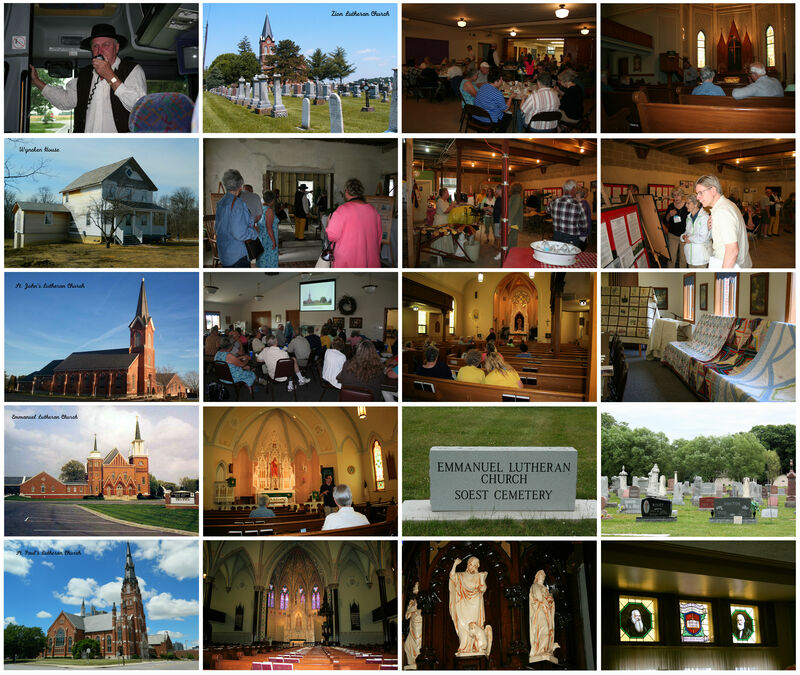 In addition to the Wyneken House, the congregations of Zion Lutheran (Friedheim) and St. John’s Lutheran (Bingen) in Adams County and Emmanual Lutheran (Soest) and St. Paul’s Lutheran (Fort Wayne) in Allen County were the focus of the tour. It was a very enjoyable and informative day. We want to thank the participating congregations and their members who opened their churches to us and provided us with a presentation of their church’s history, along with food and drink.